Are you dreaming of floating in a bottomless field of super light and dry powder? Some of the world’s snowiest skiing and snowboarding areas are located in Asia. Kamchatka, Kashmir and Japan are among the destinations that constantly receive massive amount of thick snowflakes. This place will almost make you say: “there’s just too much snow!”. Would YOU be up for a trip to a powder paradise? 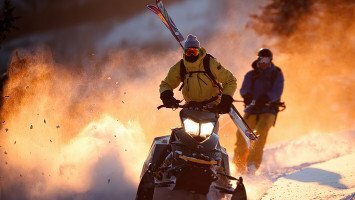 Chat with our freeriding experts! 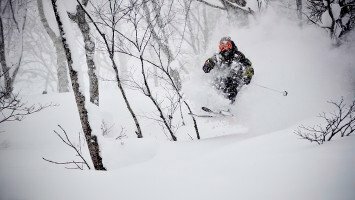 Exotic, exciting, and super snowy: Niseko is the ultimate freeriding destination! A ski trip in Asia is more than just a ski trip it’s the cultural adventure of a lifetime. Asia is the world’s largest continent so of course that means you can expect steep peaks, deep snow and some of most diverse terrain in the world. 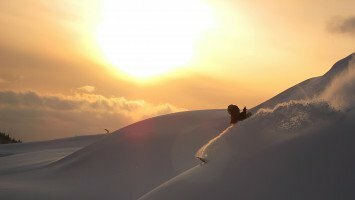 But skiing in Asia isn’t just about the snow, it’s also a chance to immerse yourself in another culture, whether your interest is in experiencing the spicy cuisine of India, the charming villages of Kyrgyzstan or the party and international scenes of Japan, a ski trip in Asia doesn’t end with the slopes. Asia is also one of the world’s most affordable skiing destinations; although you might expect a place like Japan to be expensive, when compared to destinations in Western Europe and North America it’s downright cheap! On the world’s largest continent, you can count on a huge variety of terrain, from the towering Himalayas to the snowcapped peaks of Japan’s islands, nothing quite compares to the terrain in Asia. LUEX offers ski trips to Japan, India and Kyrgyzstan, three countries each boasting epic terrain with distinct advantages. Though you might think of India and imagine hot, dusty places, the northern region of Kashmir is nestled high in the Himalayas, the world’s tallest mountain range. 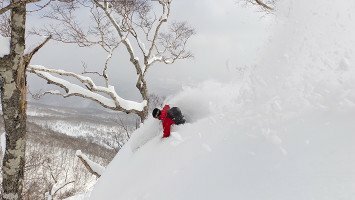 At the eastern most edge of Asia, the islands of Japan are known for some of the best powder in the world, light fluffy snow and loads of it, sometimes as much as 18 meters in a single season. In Kyrgyzstan you can go on a ski trip to a small mountain village where you’ll be surrounded by lush green pasture, but be just a short heli flight from the snowy peaks of the Tien Shan Mountains. conditions, few crowds and landscapes you won’t find anywhere else. Besides offering great snow, a ski trip to Asia is the perfect opportunity to learn about a different culture, try new things, taste new foods, and of course, to meet new people. After a day on the hill, you can enjoy a relaxing afternoon and evening with accommodations ranging from a mountaineer camp in Kyrgyzstan or cozy lodge or hotel in India or Japan. No matter which country you choose, you’re sure to have plenty of time to meet other travelers and experience local customs. 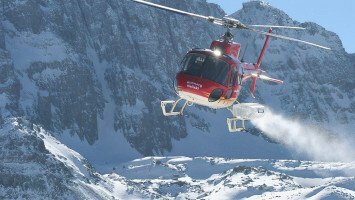 We offer both heli and freeride trips in Asia and have something that’s suitable for every type of skier or rider. Families will love the Freeride Himalaya trip while couples, solo travelers, groups, ski bums and steep and deep riders will have a blast on just about any of our Asia trips. 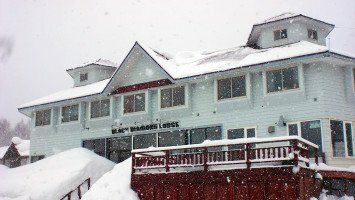 If your idea of a good ski trip involves plenty of time to “kick it” off the slopes, meeting new friends and enjoying the nightlife, then the Black Diamond Tours ski trip to Hokkaido, Japan is just for you. Most ski trips in Asia are best suited for Intermediate to Pro skiers and riders. Ski trips in Asia are also remarkably affordable and priced well below most skiing destinations in Europe and North America with only medium and budget priced trips available. A ski trip in Asia isn’t just a ski trip; it’s a cultural adventure, a chance to explore some of the world’s newest resorts and most untracked terrain, and it’s definitely the trip of a lifetime. 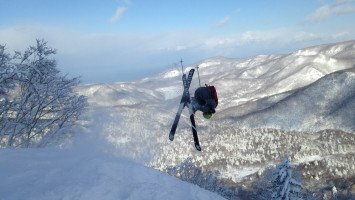 Let LUEX help you plan your adventure with a ski trip to Asia.